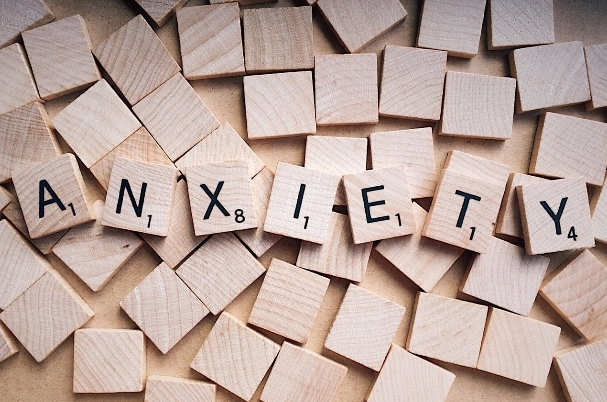 While we all experience anxiety at times, some develop anxiety issues that interfere with their daily lives. Adolescents are especially vulnerable to things like social anxiety, general anxiety disorder, school-related anxiety, and specific fears and phobias. As a parent of a child with problematic anxiety issues, you must know what to do and what not to do when attempting to manage it. Anything can trigger anxiety in a teen. It can spring from an upcoming test, a big game, or a school performance. Teens can feel anxious during big transitions, like switching schools or moving. Even technology — that thing your teen spends so much of their time on — could be causing stress if they overuse it. However, technology is helpful when it is used as a coping mechanism rather than a distraction from that essay your teen has to write by tomorrow. In fact, studies have shown that social media makes teens aware of the needs of others, encouraging them to volunteer and give back to their community. As a parent, it’s important to be able to spot anxiety that’s outside the realm of normal for adolescents, and help your teen find positive ways to deal with it. “All children and young people get anxious at times, and this is a normal part of their development … but if you think your child’s anxiety is getting in the way of their day to day life, slowing down their development, or having a significant effect on their schooling or relationships, it is best to try and help them tackle it,” says YoungMinds.org. Ignoring your child’s anxiety might seem like a good tactic, as you may think acknowledging every little worry will only serve to legitimize them. The problem is that those fears are already legitimized in your child’s mind — with or without your help. For your teen, the pressure to fit in and have the latest tech gadget or to win first place in the science fair is a serious issue, and the crippling anxiety they feel is real. Refusing to address sources of anxiety simply allows it to fester. Address your teen’s anxiety head on. Talk to them about what makes them scared and develop strategies with them. For example, if their anxiety is school-related, you might arrange for them to work with a tutor a couple of times a week (If cost is a concern, know that many private tutors have negotiable rates). Knowing they’ll be able to receive extra help later on, may help your teen manage the anxiety they feel about not understanding certain topics at school. Or if their anxiety is social, talk with them about settings where they feel comfortable, and figure out ways to increase the number of social interactions they have in those environments. That said, as you do this, it’s vital to acknowledge that stress and worry are natural parts of life, this way your child doesn’t feel like there’s something inherently wrong with them. SAM (Self-Help for Anxiety Management) – Free for all iPhone and Android users, the app can be used to create a personalized anxiety toolkit, self-monitor your anxiety, and get tips for managing anxiety from other SAM users in the in-app forum. Centered – Another free app, Centered encourages iPhone users to participate in stress-reducing physical activity and meditation. The app can be synced with your iCalendar or Apple Watch to send you reminders to take a breather. Pacifica – Using Cognitive Behavioral Therapy (CBT), the app offers guided self-help paths, mood tracking, relaxation techniques, and progress tracking, making the yearly $35.99 subscription ($5.99/month) well worth it. The app is available for iPhone, Android, and web. One technique for overcoming anxiety is to practice something called “laddering,” in which a specific fear is identified, a goal is set, and you take small steps toward achieving that goal. Let’s say your teen is afraid to put themselves out there and make new friends, as many teens use social media as a replacement for in-person interactions. In this case, using the laddering technique can be very beneficial. Rather than reiterating the reclusive behavior, create small goals to get to the bigger goal such as speaking to one new person each day, inviting someone over, or joining a school or community group such as a youth group or sports league. Chronic anxiety is often a condition that people must deal with throughout the course of their entire life. It does get better with time, however, and the adolescent years can be the toughest. As a parent, it’s important to empathize with your child’s anxiety without enabling it. By tackling the anxiety head on, you can begin to minimize its effect on your child’s social life.